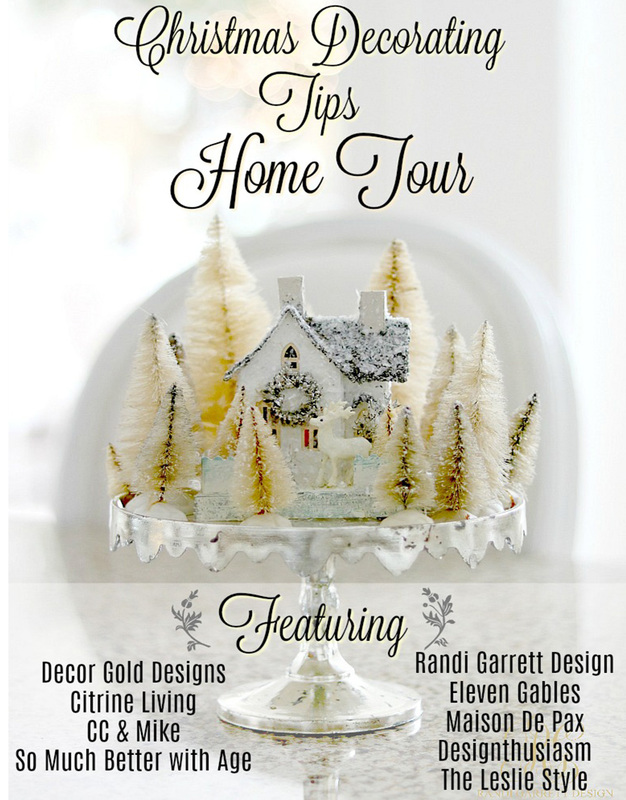 Welcome to CC and Mike’s for the Christmas Tips Tour! For all of you coming to us from Lori’s Blog – Designthusiasm, thank you for stopping by. Wasn’t her home for Christmas absolutely gorgeous? And I loved reading her Christmas tips. 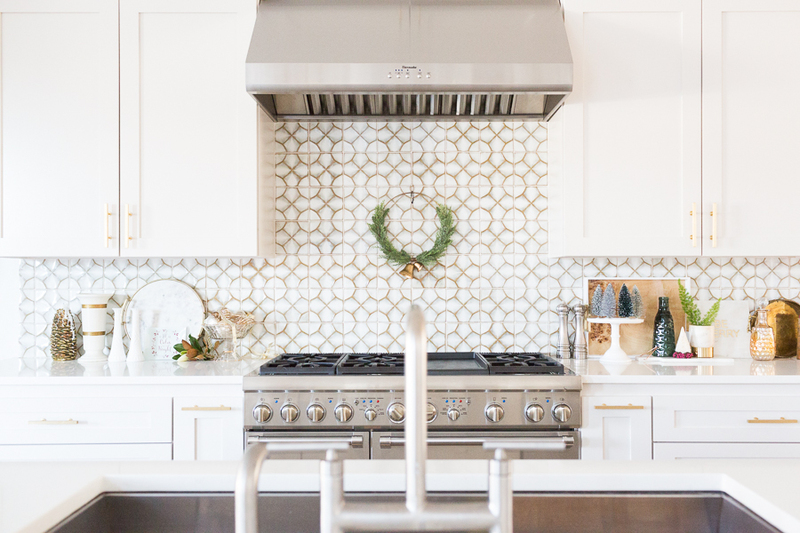 We are so honored to be a part of this tour with so many amazingly talented design bloggers! 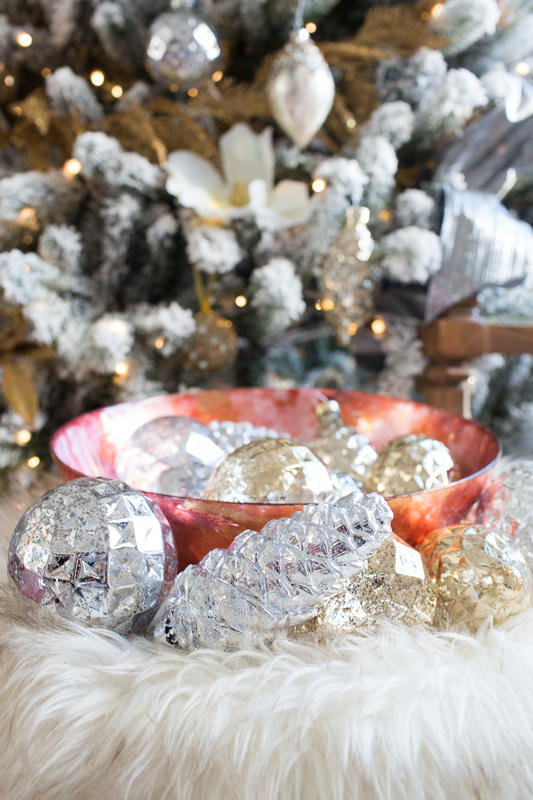 Today we’re going to be sharing 10 Tips for Budget Christmas Decorating.Oh that dreaded word: budget. 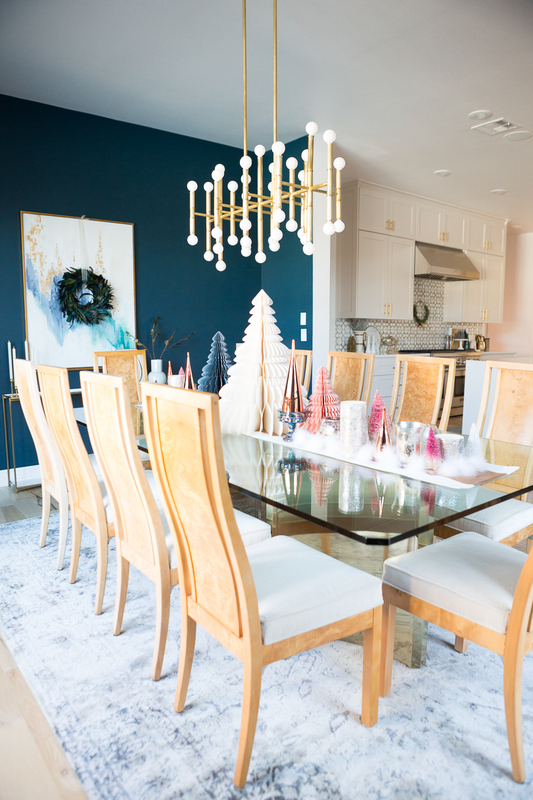 Let’s be honest, we all hate it, but it has to be used and especially around the holidays so that is why I’m sharing this post on 10 Tips for Budget Christmas Decorating. 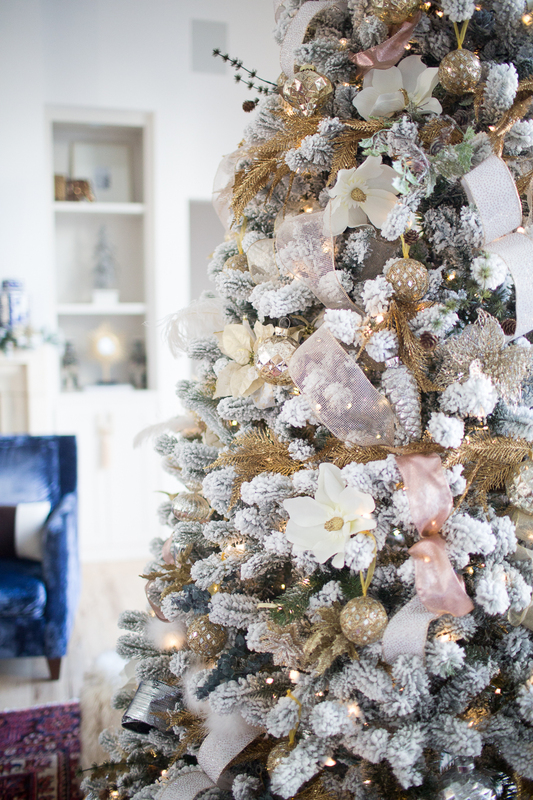 It doesn’t have to break the bank to make your house beautiful and I’m going to show you some fun ideas for how to make your house beautiful at Christmas time without spending a fortune. 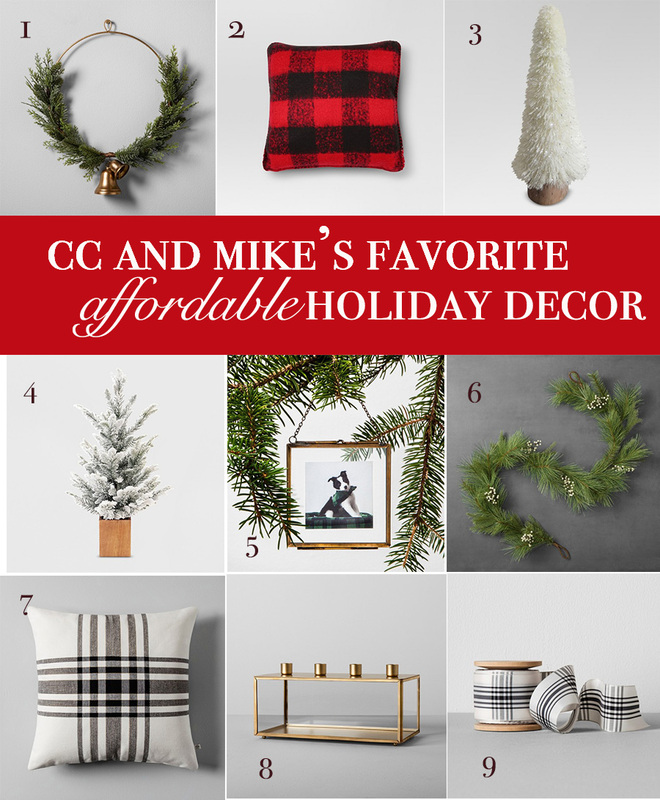 At CC and Mike’s we set a budget for both holiday decorating and gift giving and my entire married life the “holiday decorating budget” is never enough to get everything done that I want. I’m just being honest. I know, I know…you probably look at the pics and think I have an unlimited budget don’t you? Not even close you guys. Not even close. Mike Miller is always the budget police and makes it very clear that we won’t be doing live garland over every square inch of our exterior which would be my choice, trust me. From the time we were first married, I’ve had to be extremely creative with my Holiday Decor in order to work within our budget. I remember the first year we were married when we had pretty much nothing in our decorating budget. I repurposed frames and spray painted them, put a plaid scrapbook paper in the background, then made snowflakes and put them on top of the plaid paper and framed them. I hung them all over the living room and they were so cute. And cost me nothing. So all that to say, if you are feeling a little overwhelmed by Christmas decorating and by the costs associated with it, trust me you’re not the only one. 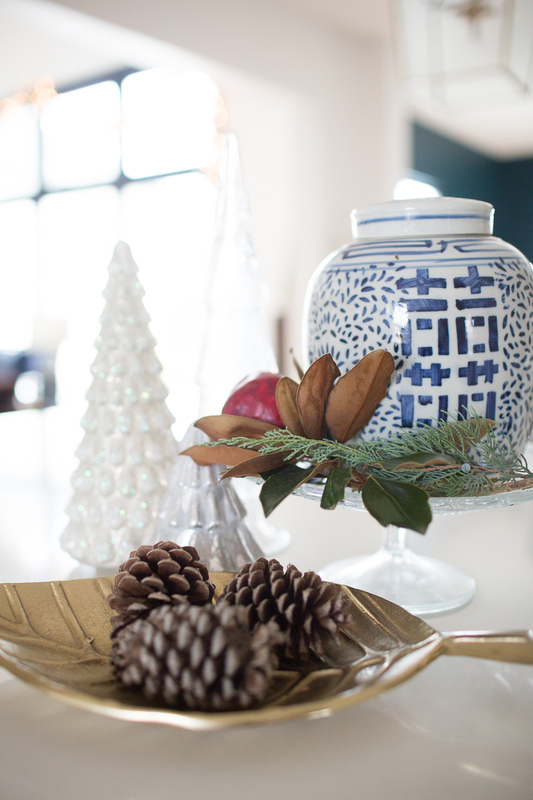 Here are 10 Tips for Budget Christmas Decorating that I’ve learned over the years. 1. 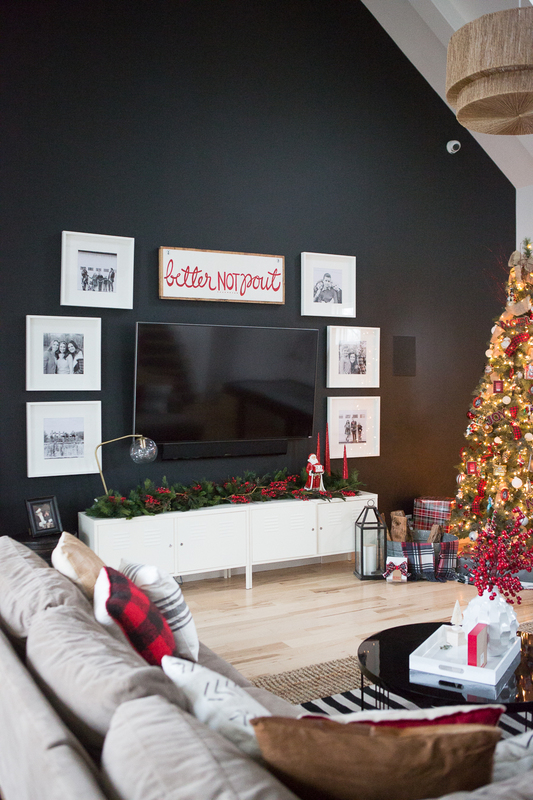 Check out Target’s Christmas Decor – Target is amazing in all things so of course Christmas decor is no different. If you want to make your Christmas budget go a long way but still get some awesome Christmas decor, Target is a great place to shop. 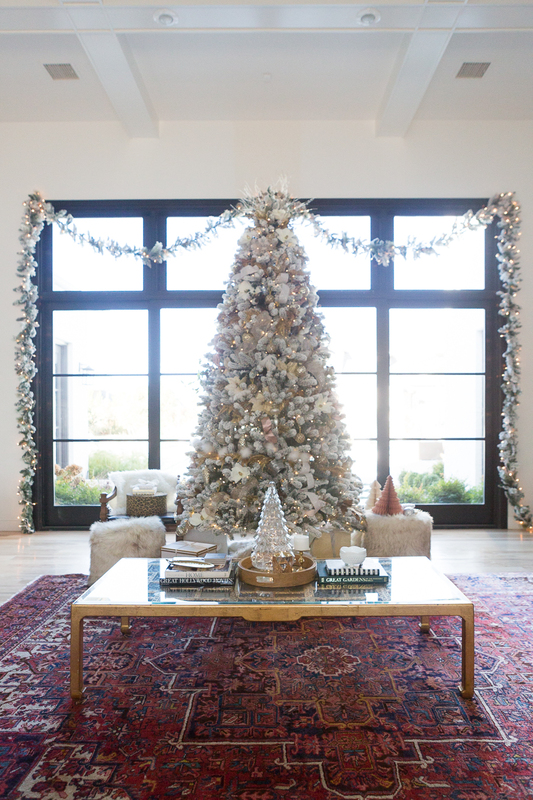 My favorite brands are WonderShop, Threshold, and Hearth and Hand (obvi – thank you Joanna Gaines for making it nearly impossible this year to stay within my budget). 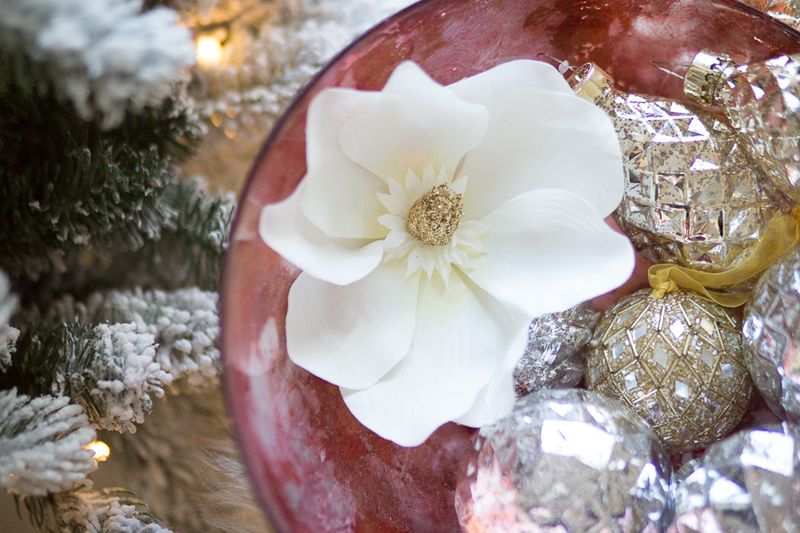 My absolute favorites are the little bell wreath that I used in my kitchen Christmas decor as well as the flocked tabletop trees. They are a must in my opinion for budget holiday decorating and can be used anywhere and everywhere in your home for Christmas. 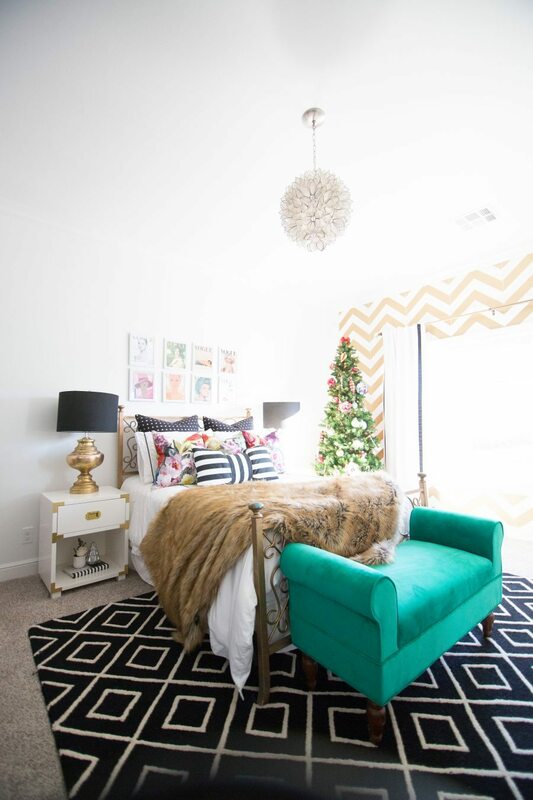 Here are some pictures for you guys to see how we have incorporated some of our favorite affordable Target decor in our home decor then make sure to check out how. 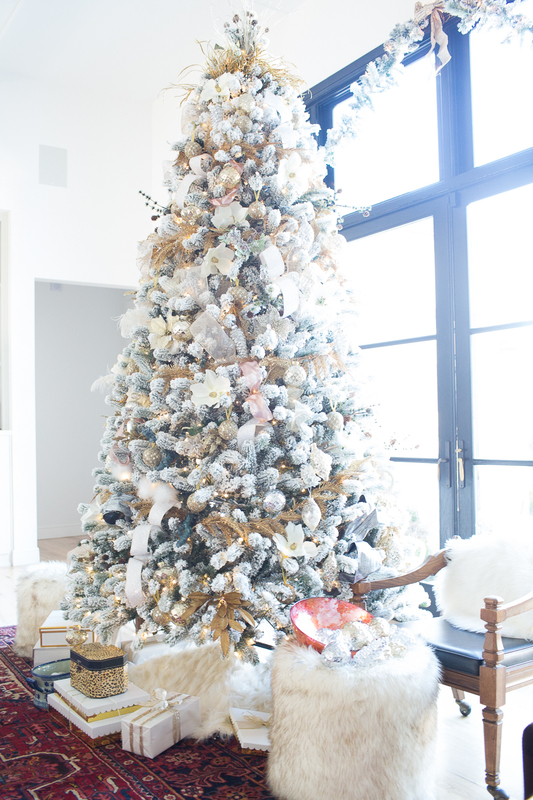 I’ve been moving this artificial flocked tree all around and absolutely love it. I think I’m going to have to go pick up another. And our gameroom has Target decor sprinkled throughout. My favorites are my black and white hearth and hand pillows AND my pillows from Danielle Oakey’s pillow shop. 2. Don’t Forget to Check out the Dollar Store – That’s right, I said the Dollar Store. You can’t even believe how many accessories I found for our Christmas decorating at the dollar store. First of all, I found these $1 magnolia clips for my tree at the Dollar Store. I bought 15 of them for $15. What a steal! If I were to go to Hobby Lobby or Michael’s to buy magnolias, I would have only gotten two sprigs for that price. 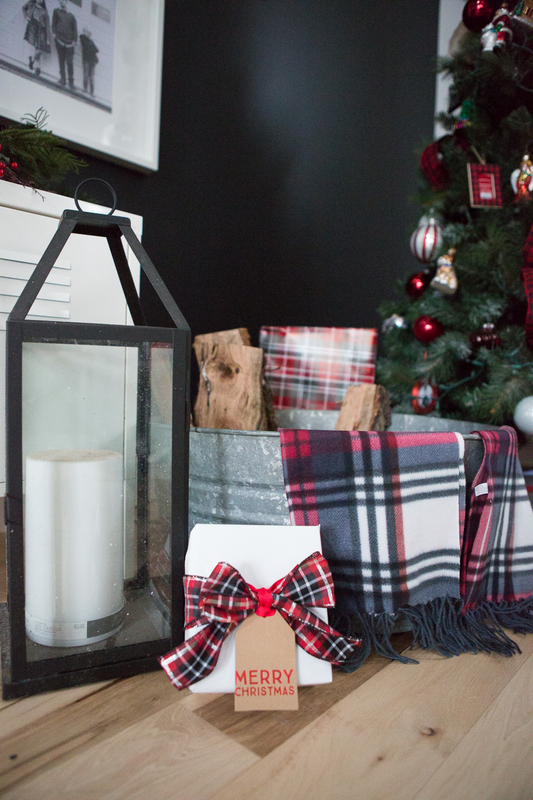 I also got $1 plaid scarves that are so great for accessorizing all over the house. I’m planning to do a whole post over these scarves because they can be styled so many different ways. 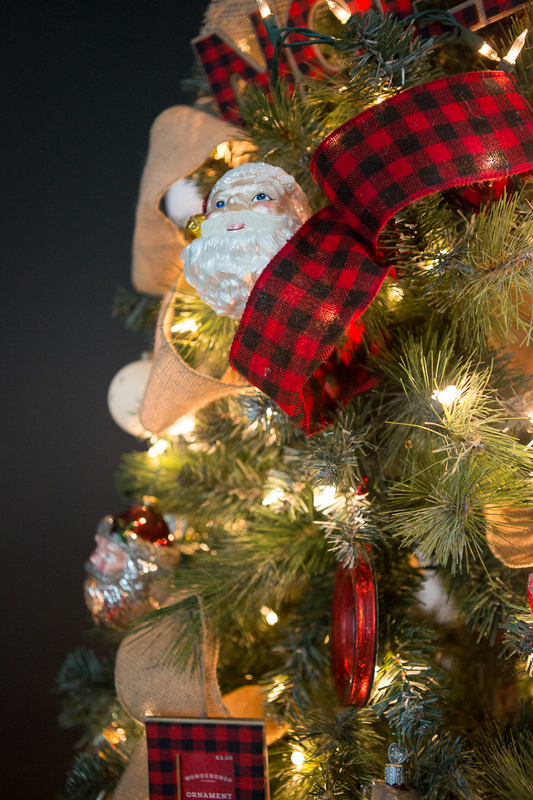 For now, you can see how I’ve used them under my tree in the gameroom to provide a pop of fun Christmas plaid and color.I also have $1 wine glasses that I got at the dollar store. They are amazing for when I entertain and have lots of ladies over who need a wine glass which let’s be honest, is definitely going to happen over the holidays. So don’t forget to check the dollar store you guys! You never know what hidden gems you can find there to help the money in your budget go further. 3. 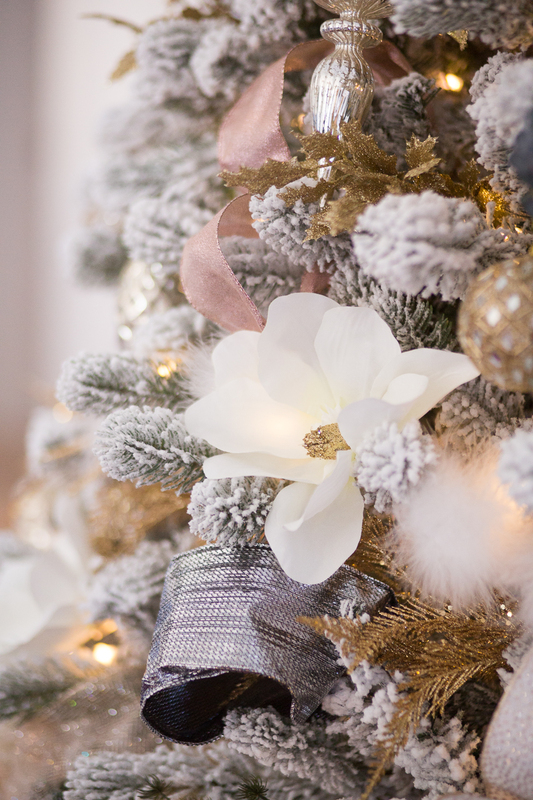 Don’t forget to check out Wal-Mart – I know, I know, Wal-Mart might now be your favorite place to shop but when you can get bottlebrush trees for $1, 10 feet of amazing flocked garland for only $12, and gorgeous mercury glass pinecone ornaments for only $1…you guys you’re going to need to get to Wal-Mart. If you’re not from the Midwest, you can shop online as well. They have incredible deals and I got over half the ornaments for my tree from Wal-Mart as well as my garland and a bunch of bottlebrush trees. 4. Shop Black Friday and Cyber Monday Sales – The money in your decorating budget will go a lot further if you shop sales. Black Friday through Cyber Monday are huge for sales. 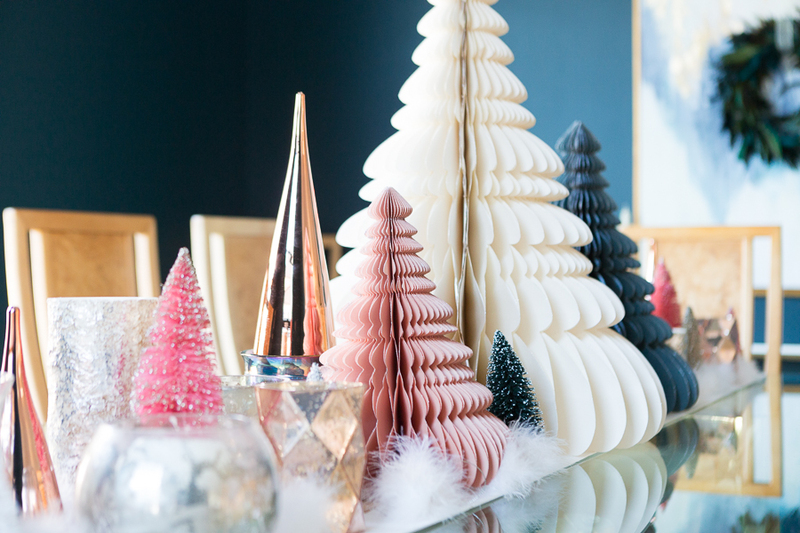 For example, all of West Elm’s Holiday decor was 40-50 percent off From Black Friday until the Tuesday after! 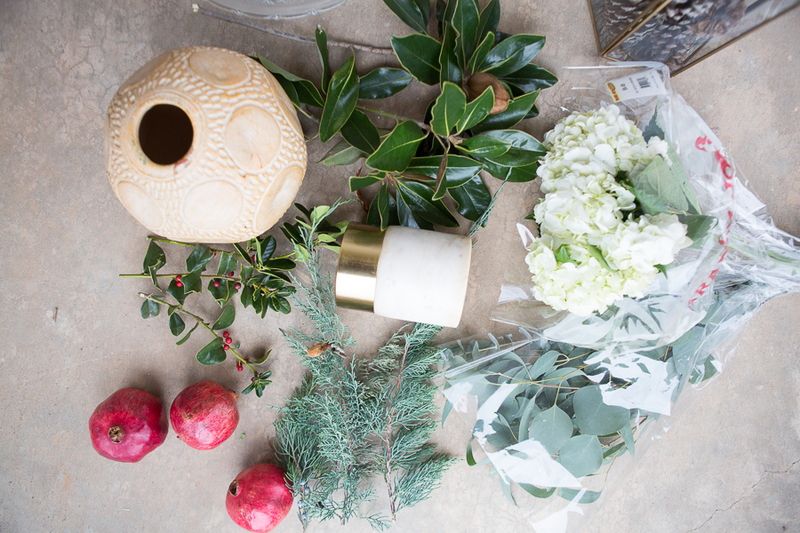 It is such a good time to stock up on Holiday Decor. Design bloggers are your one-stop shop for information on sales for not only home decor but fashion and lifestyle. Not only that, but on their blogs and social media accounts, they will keep you up to date on what is on sale or soon to be on sale, give you ideas for styling, and share their tips and tricks with you like I am right now. A really great resource is to subscribe to your favorite design bloggers blogs by providing your email and then you will receive all their blog posts and newsletters in your inbox! 6. Challenge Yourself to Use What You Have – I get it. You want those new full-priced gorgeous Christmas pillows from Pottery Barn and you want to lose your mind in William Sonoma. Me too. But it’s not in your budget. So challenge yourself to use what you have. 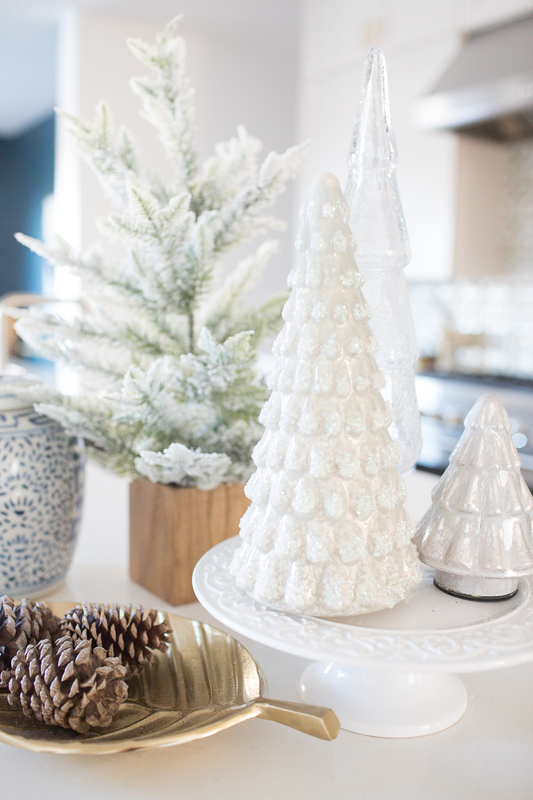 Set all your decor out on your kitchen countertop. 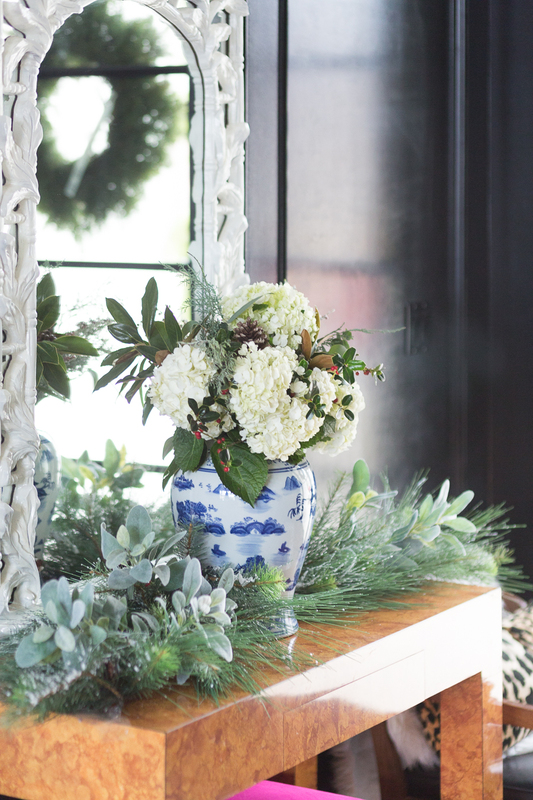 Open up your kitchen cabinets and drag out vases you haven’t used in two years. Go up to the attic and find that box you haven’t seen in years, drag out the contents, and get creative! Sometimes you also just need to remind yourself that keeping it simple is ok! 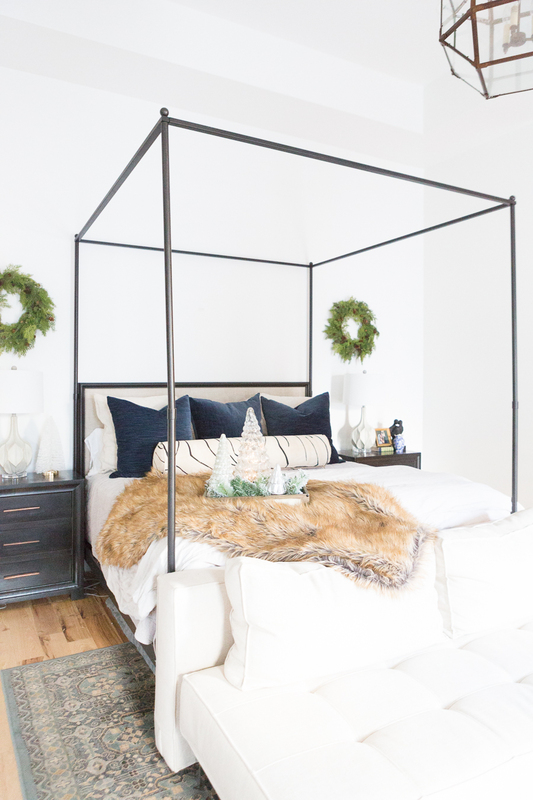 I had a million ideas of what I wanted to do in my bedroom but ultimately it wasn’t in the budget to go crazy on new bedding and window sheers and lighting—you see, I had LOTS of ideas. But instead, I challenged myself to use what I had: two simple wreaths that I hung above my nightstands, some leftover garland sprigs, and some glass Christmas trees I already had. I love how it turned out. I love the simplicity. Most of all, I love that it cost me nothing because I used what I had. 7. Shop Your Decor Loving Friend’s House – Do you have a decor loving sister, mom, or bestie? Chances are she has a closet or an attic with some decor items she is no longer using. 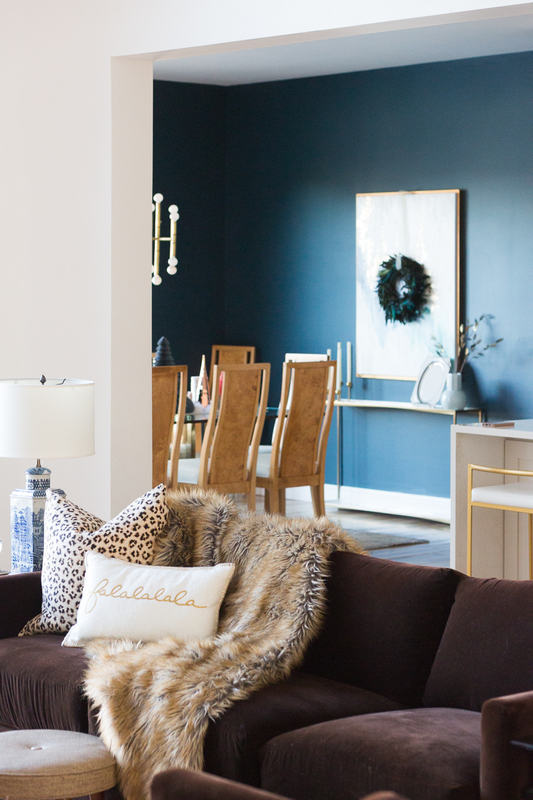 Those of us who love decor are constantly changing things out. My bestie and I shop each other’s closets. She just took a hutch that I’ve been wanting to repurpose for over a year, but never got around to, and I took this white mirror that I’m using now in my entry. First off all, she got this when we were thrifting together and repurposed this mirror and used it for two years in her entry before she replaced it with some of my print shop art. It’s just been setting up in her attic so I took it to try it in my entry. I’m LOVING the pop of white against my high gloss black entry walls. So if you have a decor loving friend or family member, you never know what they will have in their closets or attic that they would be willing to loan you for free. Talk about budget decorating! You can’t beat free! 8. Shop At Garage Sales – Yep, you heard me. Shop garage sales. I have found Christmas trees for $10, Christmas ornaments, baskets, and all sorts of Christmas goodies at garage sales and estate sales and they are usually a STEAL. This Tree in little momma’s room is from a garage sale! 9. Shop the Day after Christmas – Everything is on crazy super sale the day after Christmas. I like to hit Michael’s, Hobby Lobby, and Target and see what Christmas steals and deals I can get to have on hands for the next year. You can get wreaths and garland 70 percent off for the next year as well so it’s a great time to buy Christmas decor on a budget. One of my favorite things to buy half off is specialty ornaments. 10. 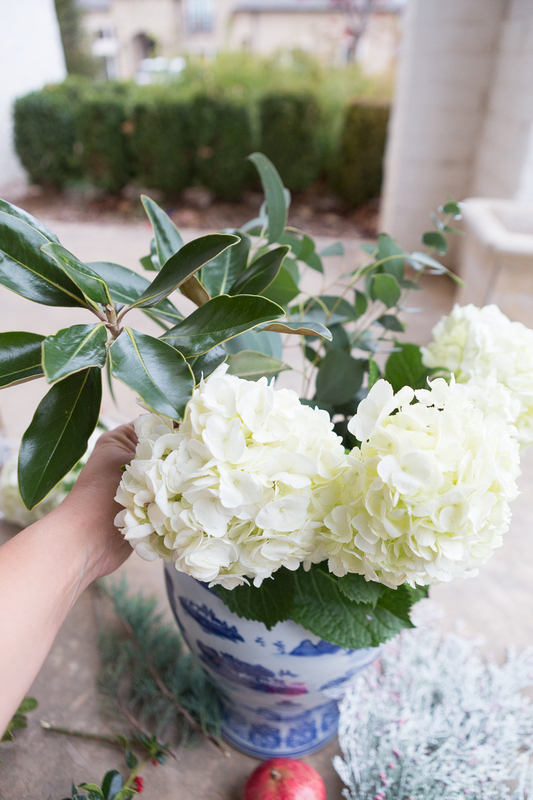 Use Fresh Flowers and greenery – This one is pretty simple. Use what’s in your backyard. Do you have an evergreen? Magnolia trees? 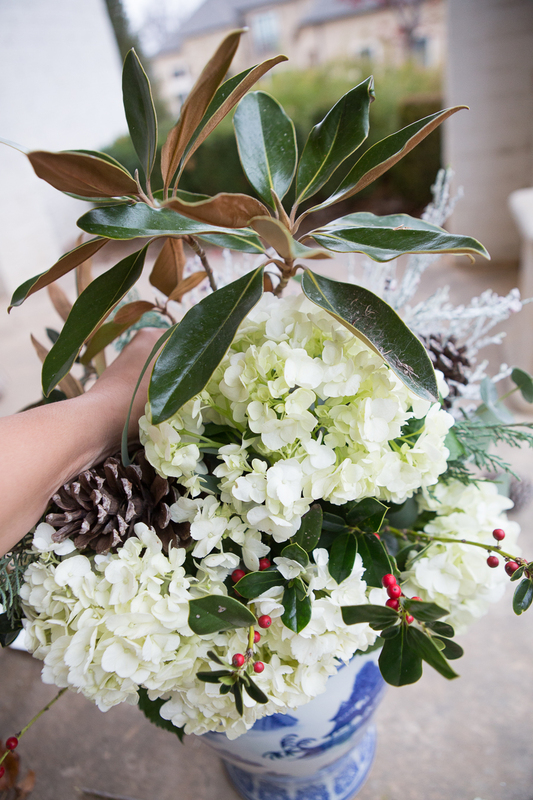 snap some sprigs from the tree and use them to make a flower arrangement. I like going to Trader Joe’s and getting a bag of eucalpytus and hydranges or white roses to mix with the fresh greenery. 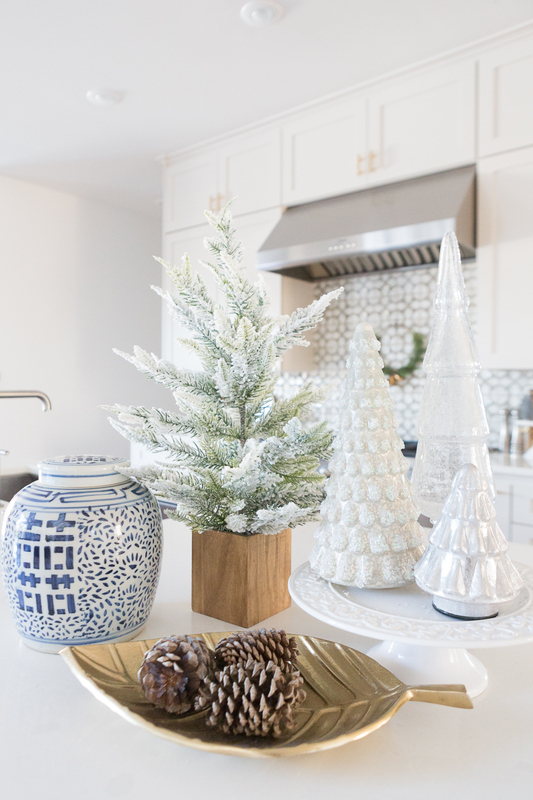 I hope you have enjoyed this post with Tips and Tricks for Decorating on a Budget for Christmas, and I hope you are leaving with a lot of ideas and feeling inspired. And most of all, I hope you realize that CC and Mike don’t have an endless budget and we make our home look beautiful by being creative, using what we have, thinking outside the box, borrowing from others, and shopping smart. If we can do it, you can too! 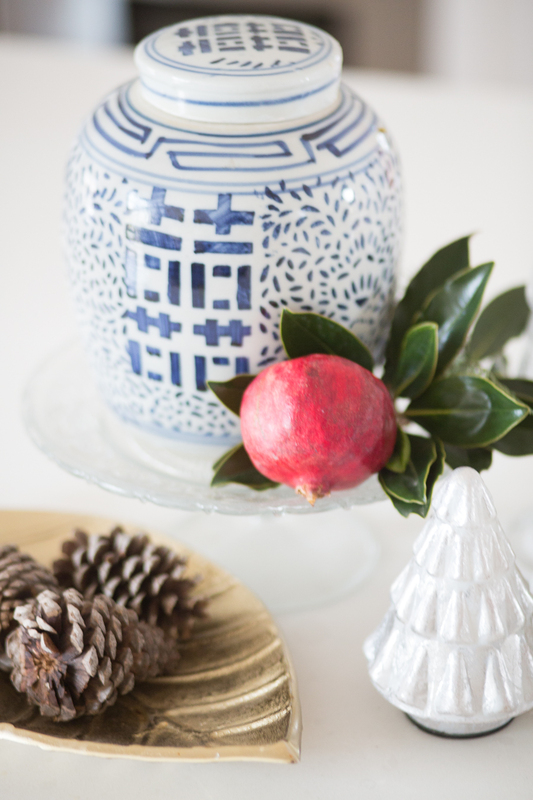 For more amazing Christmas Tips, head on over to Jamie’s Blog – So Much Better With Age then make sure you check out all the amazing design bloggers who are sharing their Christmas tips with you! All of the bloggers participating in our Christmas Tips Tour have wonderful ideas to share with you! Find the full line up below. Your tips are SO awesome CC! Such smart and creative ways to decorate on a budget! I went way over mine this year, don’t tell my husband lol! And btw – I got a TON of stuff at Walmart this year!! Thanks for the tips CC! 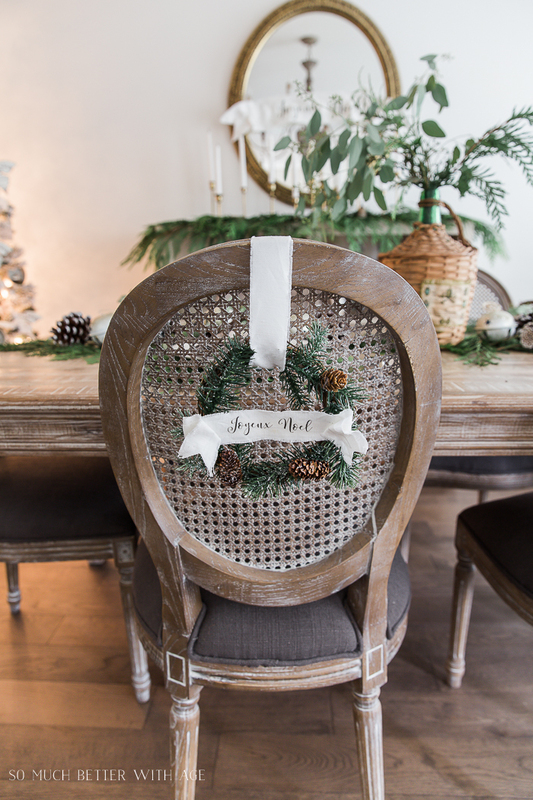 Quite creative, I love how you were able to incorporate pieces you already had in new in interesting ways, especially the wreaths and other natural elements. 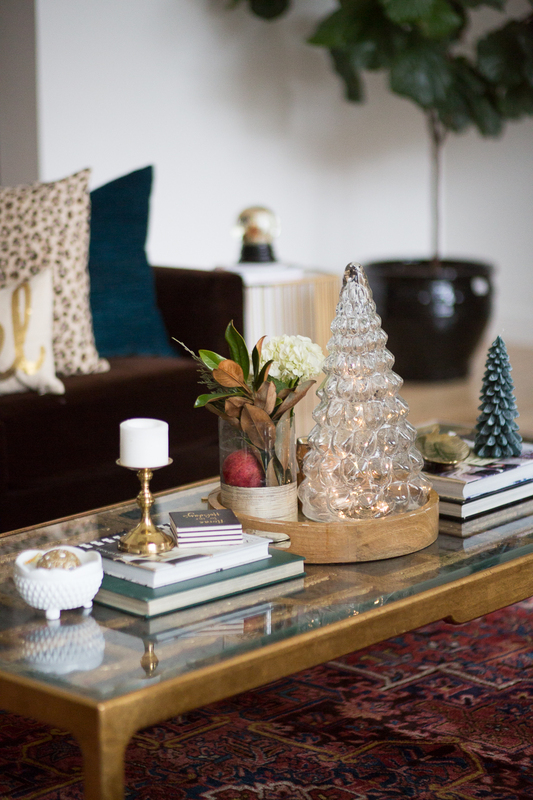 Simple and chic style, so glad we got to do the home tour together! And seriously, your kitchen! so gorgeous my friend! CC, you wrote such a great post with amazing tips and you have amazing style. So great being on this tour with you. It’s really beautiful idea about Christmas decoration from your images and decoration idea I’m ready to decorate my Christmas tree and house with full of lights. Thank you so much!